Elizabeth Hamlin Lumpkin was born on 14 February 1870 in Mississippi. Oliver H. Lumpkin and Mattie Maxwell appeared in the US federal census of 1 June 1860 in Holly Springs PO, Marshall County, Mississippi, and one female domestic servant. [Note that daughter Allain? appears in the 1880 census, age 13, but is not enumerated in the household in 1870.]. 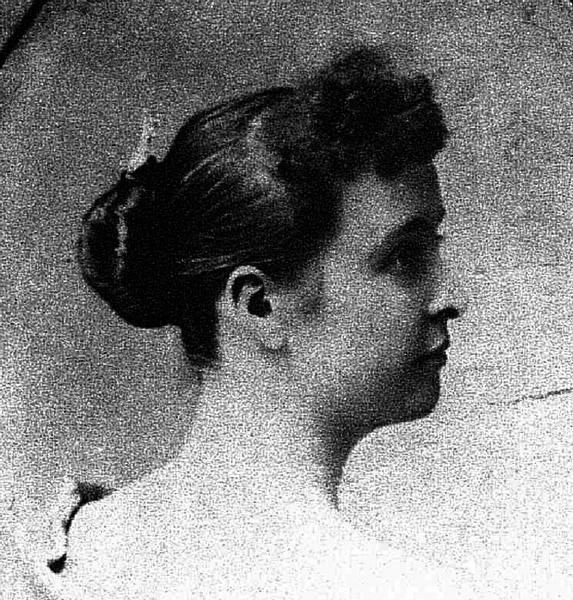 Other members of the household included Elizabeth Hamlin Lumpkin, Dora Lumpkin. Oliver H. Lumpkin and Mattie Maxwell appeared in the US federal census of 1 June 1880 in East Holly Springs, Marshall County, Mississippi. Other members of the household included Elizabeth Hamlin Lumpkin, Allain Lumpkin, Dora Lumpkin, William Lumpkin, John Lumpkin and George Lumpkin. She married Alexander Hamilton Pegues II, son of Alexander Hamilton Pegues and Rebecca Ann Evans Pegues, circa 1890, Elizabeth's father was a step-son of Jane Johnson Pegues Lumpkin, Alexander's aunt. Alexander Hamilton Pegues II and Elizabeth Hamlin Lumpkin appeared in the US federal census of 1 June 1900 in Columbus, Lowndes County, Mississippi, boarding in the household of Carlotta Gibbs.. Other members of the household included Martha Maxwell Pegues. Alexander Hamilton Pegues II and Elizabeth Hamlin Lumpkin appeared in the US federal census of 15 April 1910 in Columbus, Lowndes County, Mississippi, at 825 Seventh Avenue. Other members of the household included Martha Maxwell Pegues, Rebecca Ann Pegues and Alexander Hamilton Pegues III. Alexander Hamilton Pegues II and Elizabeth Hamlin Lumpkin appeared in the US federal census of 1 January 1920 in Columbus, Lowndes County, Mississippi, at 825 Seventh. Other members of the household included Rebecca Ann Pegues and Alexander Hamilton Pegues III. Alexander Hamilton Pegues II and Elizabeth Hamlin Lumpkin appeared in the US federal census of 1 April 1930 in Columbus, Lowndes County, Mississippi, at 825 7th Avenue South. Other members of the household included Eliza Senora Dobyns. Elizabeth Hamlin Lumpkin died on 24 December 1932 at age 62. Her husband Alexander Hamilton Pegues II became a widower at her death. She was interred at Friendship Cemetery, Columbus, Lowndes County, Mississippi.